Paul Brisebois - Just as many of us will remember him. which inspired this article today. There is a group on Facebook called "Mechanicsville of Ottawa" that is like an ongoing family reunion for long-time (and former long-time) residents of Mechanicsville and Hintonburg. Spend an hour or two reading through the photos and memories of these great people whose hearts are firmly at home in our little west-end neighbourhood, and you'll feel almost like you experienced the 50s, 60s and 70s all over again. About a year ago, one single photo posted by someone on the page sparked a buzz within the group that has yet to subside. 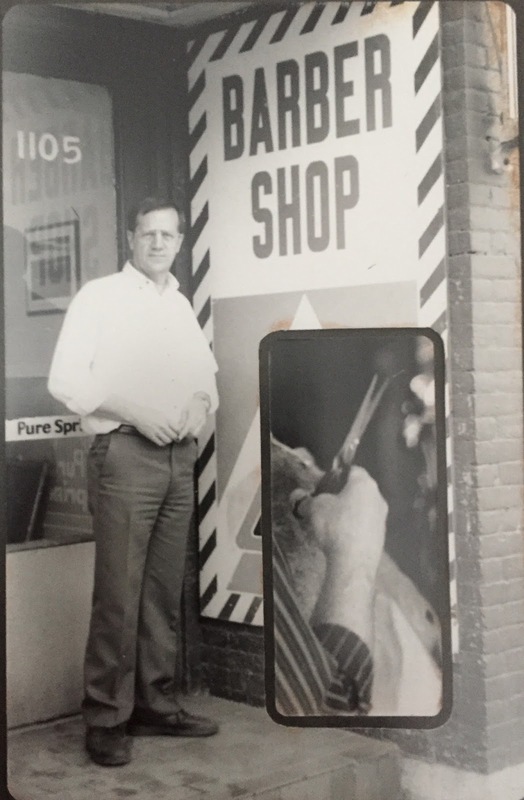 Mike Laflamme posted a photograph of Paul the Barber closing up shop at his familiar location on Wellington Street, near the corner of Stirling. It was a simple photograph, but one that has clearly grabbed the emotions of many who view it, for Paul was a cornerstone of Wellington Street West for 45 years. Many of the boys and men of the area (and even some women) grew up in this shop; it was a part of their lives for so many years. I consider myself fortunate to be in this group. My Dad was a loyal customer and I had all of my childhood cuts in the 1980s and 90s at Paul's. When Paul closed in 2004, we all found somewhere else to go, but he was missed. Though not forgotten by any stretch, seeing his photo brought back a lot of memories for so many; to be reminded of years past, and a great man of the neighbourhood. The popularity of that photograph inspired me to seek Paul out, and tell his story, and share more photos of this iconic Hintonburg personality. The building at the east corner of Wellington and Stirling has a history as colourful as any building in the city of Ottawa, and is well worth its own "Museum" post someday. Quickly, the block of stores that now appears as one contiguous building on the outside is actually three separate parts that have morphed over time. 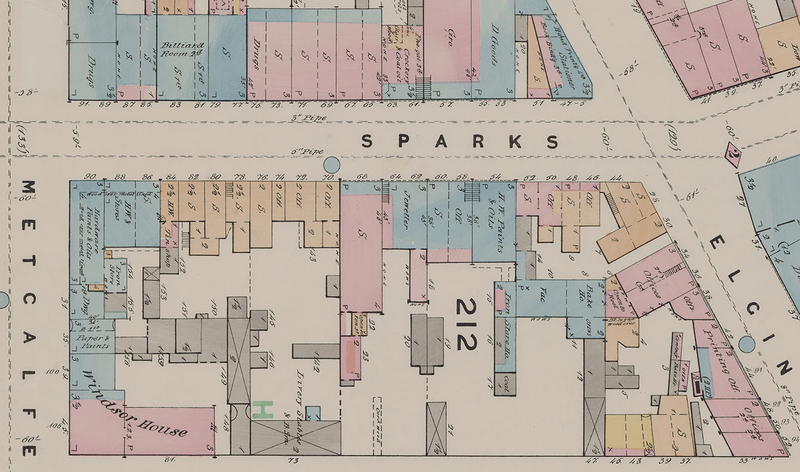 The western part of the building (Uproar and 4Cats Studio) was built in 1902 by F. W. Mahon as a grocery store. The portion to the east (Aljazeera and the Record Centre) was built in 1912 originally as a Baptist Mission. 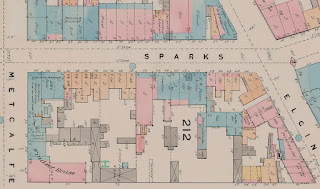 However in between the two was a little triangle of space, that in 1912 was constructed to essentially connect the two buildings together, and from the curb make it appear as one large building. That little triangle is the focus of this article today. 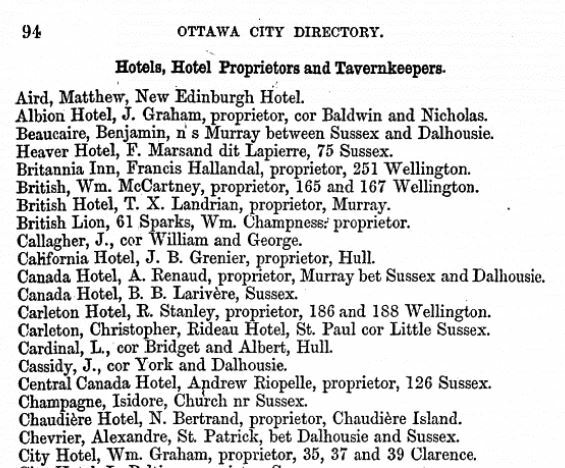 Appropriately the first tenant of the triangle at 1105 Wellington Street was a barber. Napoleon Paquette opened his shop in this space between 1913-1914, where he remained for a couple of years. 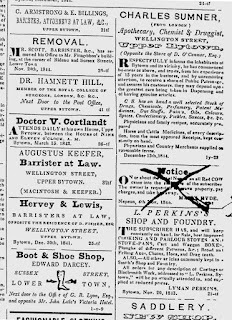 It later became a confectionery, and then a shoemaker/shoe repair shop from 1924 to 1951. 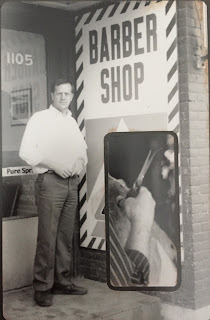 It served briefly as the amazingly-named "Zunder's Wellington Biscuiteria", and the equally-impressive "Farmer's Pride Kut-Up Chicken Store", before coming full circle and re-opening as a barber shop in 1956, operated by Mr. J. Alfred Denis. 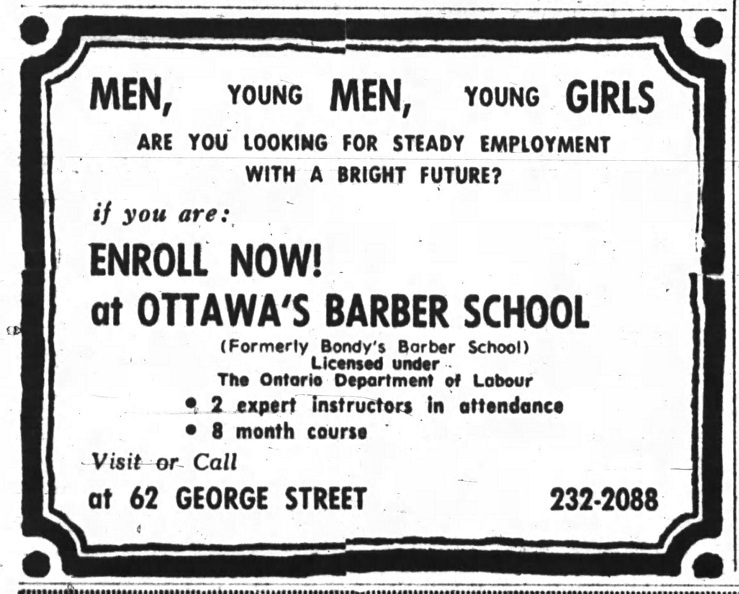 Meanwhile, in 1958, a young Paul Brisebois graduated from Barber School in the Byward Market (called Bondy's Barber School, at 62 George Street). 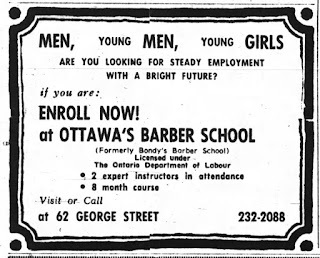 His brother Gaetan had attended six months prior, and was the barber for the family business that was attached to their family home in the east end near the National Research Council at 2036 Montreal Road (named the "Brisebois Barber Shop", it was a small "Smokeshop" with one barber chair). but was still in the same location). 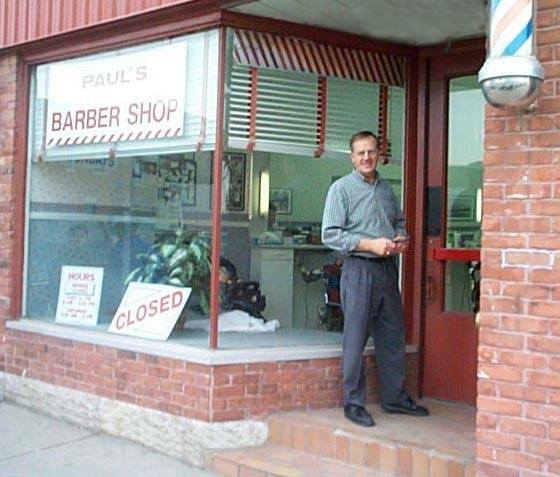 One day in 1959, Paul was getting a drive around town from his father, dropping in on barber shops and looking for a job. He visited Alfred Denis's shop, and according to Paul's wife Denise "made such a good impression that he was hired on the spot, and started work the next day from 8:00 a.m. to 6:00 p.m.". Sadly Alfred Denis fell ill about a year later and could no longer work. He offered Paul the opportunity to take it over which he did. Paul's Dad financed him to buy the equipment from Alfred Denis, and thus in 1960, at age 19, he became the owner of the two-chair shop. He met his wife-to-be Denise soon after. Her brother introduced her to Paul, who lived in the same neighbourhood and attended the same Church, though she didn't know him or what he looked like. She cheerfully remembers thinking "Hey, 19 years old, has his own business, his own car... Jackpot!". Their first date was for her high school graduation that year. Sadly, Paul lost his father soon after of a heart attack, at the young age of 51. He had gone to the hospital believing he was suffering indigestion, but passed away during the night. 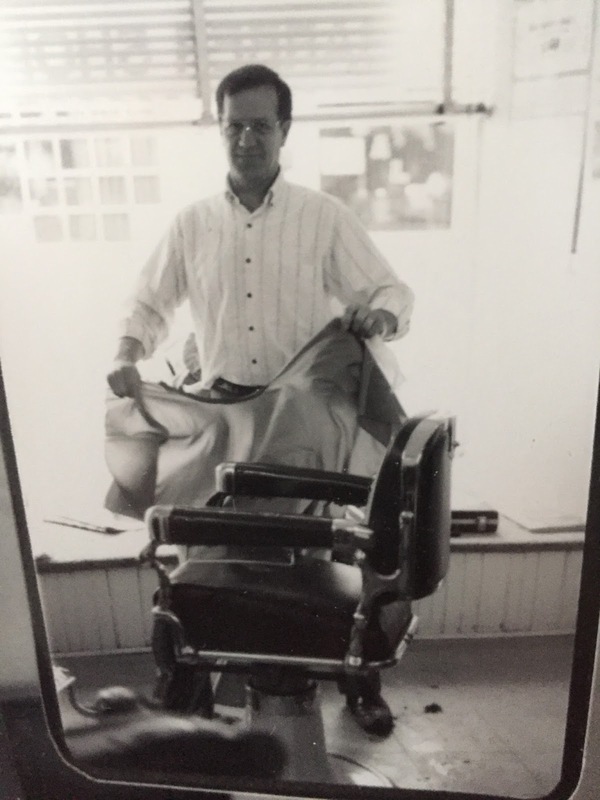 In the beginning, business in the shop was great, so Paul hired a barber for the second chair. At that time, Paul recalls the price of a haircut to be $1.25 or $1.50. Denise recalls that Paul worked tirelessly during that period, 5 days a week, 10 hours a day, attempting to further build his clientele, and then doing the accounting in the evenings. He broke away long enough for them to get married on the Monday of the May long week-end in 1966. He took a few days off but had to get back to work. Denise also shared how Paul had to adapt to the trends, including one which almost cost him his business in the 1970s: "Business was dropping in the mid 70s during the hippie generation with the long hair style. 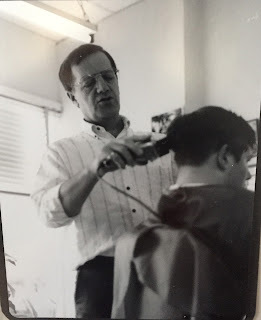 His other barber left and Paul was also thinking of a career change." (She mentioned that he had applied for the contract for the shop at National Defence headquarters, and even at one time was considering becoming a bus driver). "However, business picked up again when brush cuts became the next style. He was considered a very good barber for brush cuts. To keep himself up to date, he took men's hairdressing courses on his days off and attended several Styling events." She added that his clientele was a mix of young and old, and also occasionally females as well. 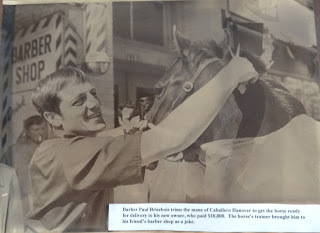 One of the most memorable moments in Paul's career came in the summer of 1974 when an Ottawa police officer (Harry Leonard, according to one source) was having a beer at the Elmdale Hotel across the street and as a joke to Paul, brought his horse Caballero Hanover into the barber shop for a trim before he was to sell him (apparently for $10,000). A photo of this hung in Paul's shop for years afterward. (A copy of that photo was one of the first things I asked about when I first called. What a great memory to see it again!). Anyhow, apparently the police chief came the following day to apologize to Paul, but Paul laughed it off and said he didn't mind at all, and according to Denise "cost him a brush and a pair of scissors as a souvenir." The famous photo of Paul with Caballero Hanover. 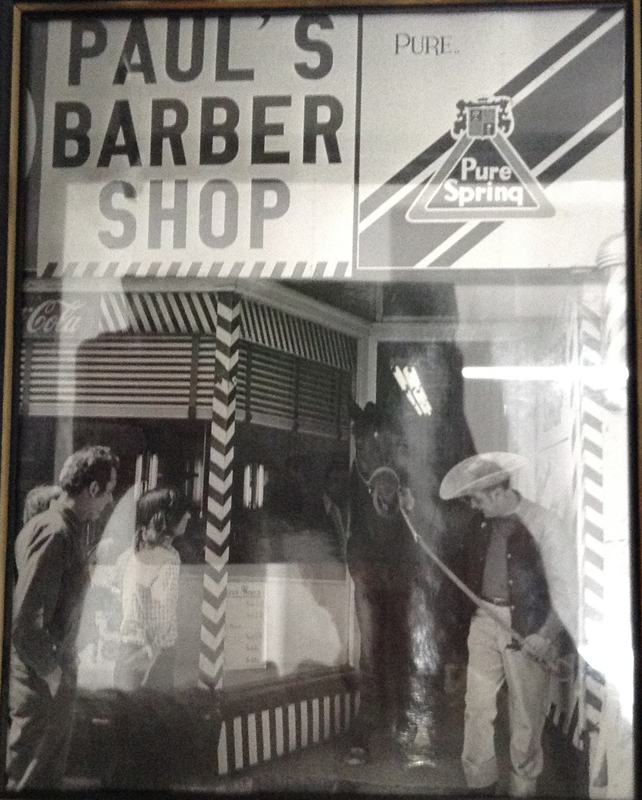 shot of the original "Paul's Barber Shop" sign! Even if Hintonburg was a bit of a rough neighbourhood during portions of this era, Paul always felt safe, between the large number of police he had as customers, and having legendary Ottawa tough-guy Jerry Barber next door helped too (Barber owned Danny's Used Furniture next door at 1107 Wellington for many years). Paul did have a break-in once, where the thief took the little bit of cash that was on site, but also all of his equipment. Customers arriving to the shop that day must have been surprised to find the shop closed mid-day. Paul had to put up a sign and let his customers know that he would be back in two hours as he was out buying new clippers and scissors! Denise also recalls the time when she was at home with their young children, and put a pineapple plant in the large sunny window. This plant would attract classrooms of children from the nearby school, whose teachers would bring the classes by to follow its growth! 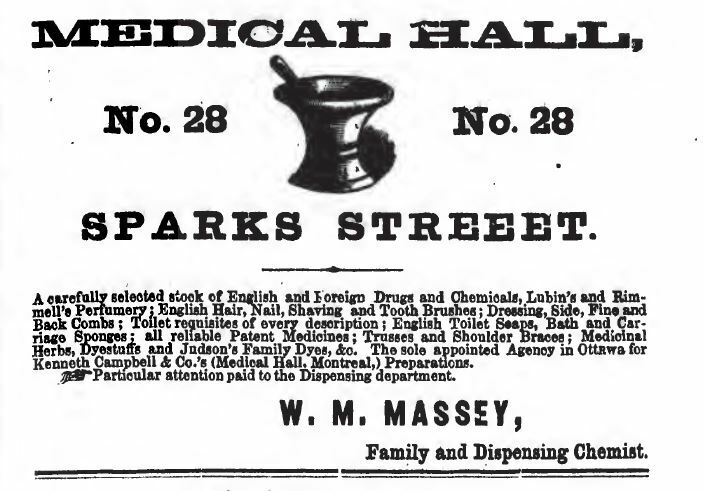 Back then businesses in the west end were closed on Wednesdays. Denise convinced him one summer to close on Mondays to have two days at the cottage. "It worked out well, his customers respected his wishes." adds Denise. Paul never had a phone in the store until he had a cell phone during the final years (he never took appointments). 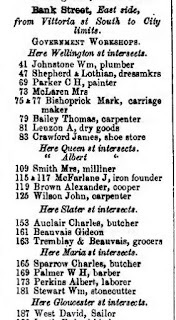 Prior to that, in order to reach him you had to call Morris Clothing (then located at 1099 Wellington). Mike Laflamme shared a great, funny story on Facebook: "I was at Paul's shop one day and realized I had no money on me. He said don't worry about it and pay me later. At the time I was driving the #2 bus in front of his shop every day. One of the regular passengers was a young lady that worked at Scotia bank and I would let her off in front of Paul's and would give her a quarter to give to him till it was payed off. He would shake his fist at me every time I drove by." One morning in April of 1999, Paul was opening his barber shop early as he did everyday, when he noticed and smelled smoke coming from the roof of the building across the street. He phoned 911 from his cell phone, and fire fighters arrived minutes later to find the century-old building at the corner of Wellington and Sherbrooke (Lt. Pooley's Pub, among other shops) ablaze. "Then I saw flames and I thought the worst" he later told reporters. The first responder was a fire Captain en route to the nearby Station to begin his shift. The fireman yelled at two people in an upstairs window to stay where they were, then ran upstairs to investigate and alert other residents. Paul waited alone outside, and when a police officer arrived soon after, Paul alerted him to the fireman inside. Two other tenants escaped by climbing out onto the Lt. Pooley's sign, and a bystander backed a cube van under the sign, allowing the tenants to jump on the roof to climb down. The other two tenants were soon rescued by firefighters with a ladder, while three more tenants escaped through a rear exit. The fire left 10 people homeless and destroyed 6 businesses. Arson was suspected, and the fire had started in the basement hours before Paul had noticed the smoke. Paul's actions that morning may well have saved the lives of those tenants in that building. After 45 years snipping and clipping in the same location, Paul the legend is packing it in, so I ask him to tell me the owners of some of the more famous fibres that have landed at his feet which, as always, are ensconced in his special soft, black, leather shoes with the extra-thick sponge sole to ease the pressure on legs that are perpendicular nine hours a day, six days a week. "Well, there was Gerry Barber." What? GERRY BARBER? The Gerry Barber? The toughest guy in the history of Ottawa, the most feared bouncer in all of Canada, the notorious manager of the Chaudiere Club whose punks-pounding reign ended only when he suffered a fatal heart attack dancing with his wife; that Gerry Barber? That Gerry Barber. 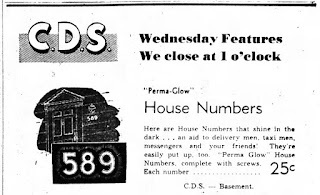 Owned the used furniture store next to Paul's joint on Wellington St. Just around the corner from the Stirling, the bucket of blood that even the cops backed away from on the nights the booze was flowing and the fists were throwing, which was every night. With the head of Gerry Barber the size of a medicine ball, Paul had lots of time to get to know him cutting his hair -- "wiry, curly, good texture" -- and it was Gerry himself who recommended the legs-saving shoes to Paul, Gerry figuring that strong and healthy legs were just as necessary to Paul having to stand cutting hair as they were to Gerry in the effective bouncing of bodies. "He was a nice guy, a nice guy," says Paul. "He asked me to remove his stitches." Stitches? "He had stitches on his forehead." No doubt from one of the many crowbars, tire irons, and baseball bats Gerry's forehead entertained over his career. "I cut them off with my scissors." Very delicately, otherwise Paul might not be around today to tell the story. It was always comforting knowing Gerry was working right next door, which is probably why Paul showed great guts beyond the normal call of common sense one day. "This drunk came in for a haircut. He'd been at the Stirling. Another guy came in from the Stirling wanting to fight him, and they were screaming and yelling. I told them to get out, and they did." Paul of Paul's Barber Shop is Paul Brisebois and he's been cutting hair alone -- no fancy stuff, he's an old-fashioned barber -- in the same small, bright space of white walls, big mirrors, fluorescent lights, and two red leather swivel chairs since he was 18, but now he's giving in his notice to the landlord at the end of the month. Like with all athletes, the legs are the first to go, and Paul's 63-year-old legs ("You want to sit down, but you can't") are sending him messages. His special shoes help, and so does the special rubber mat around the base of the chair he uses 15 to 20 times a day at $8 (for seniors) and $9.50 a pop, but there's his wife Denise and sons Daniel and Martin and grandchildren Louis and Emilie and his golf game and his cottage and he thinks the time has come to spend more time with them all. What Paul will miss most is not the barbering, but the bantering; bantering seldom changes, barbering has. 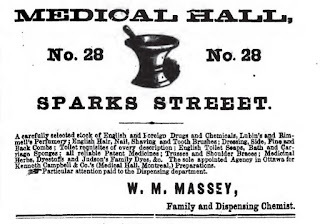 Hair cream (Brylcreem, Vitalis, Wildroot) and those tall bottles of sweet-smelling, multi-hued liquids are long gone ("People didn't like their hair smelling anymore"), and shaves, too ("AIDS -- concern about nicks and the transfer of blood with the straight razor."). The long-haired hippy era was the worst for Paul ("Lots of barbers quit; I almost did, too, but I waited it out"). Denny Barch, new customer, smiles. He's 37. He walked into Paul's Barber Shop with hair below his shoulders. Now it's short back and sides for the first time since 1991. 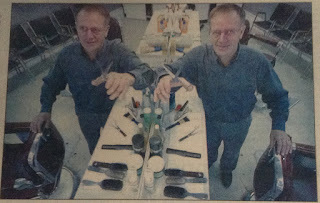 Paul is brush-dusting Pinaud Finest Talc -- World Famous Since 1810 on the neck of Denny Barch, who says: "Great haircut. A feeling of refreshment. Like a cold beer on a hot day. I looked like a disrespectable member of society, now I look respectable. All I needed was a haircut." They say a dog is man's best friend? No. It's his barber. Find a good one and you hold onto him for dear life. There's sorrow in Hintonburg today, but Paul the Barber offers a glimmer of hope. "For some of my older customers, I might still go to their homes if they want." Paul was 63 when he retired, and had simply become tired (how can you blame him after 45 years of working on his feet?). He also had become a little disenchanted with the changes happening to the Hintonburg neighbourhood, in particularly the prevalence of biker gangs. His wife Denise had retired in 2001 after the city amalgamated, and had taken up badminton (she convinced Paul to join her one evening per week; they later switched over to pickleball). Later while on a trip, Paul just one day announced he wanted to retire. At the same time, the owner of the building had died in a car accident, and his widow offered for Paul to go on a monthly lease. But Paul refused; his mind was made up. On his final day, he had made arrangements with a buyer to come and buy all of his equipment, including those amazing, comfy red barber chairs. However the buyer never showed, and Paul had to move all the furniture out by himself. Disappointed, he had rented a trailer and was in the process of moving everything, when a friend came by, saw what happened, and got in touch with someone he knew. 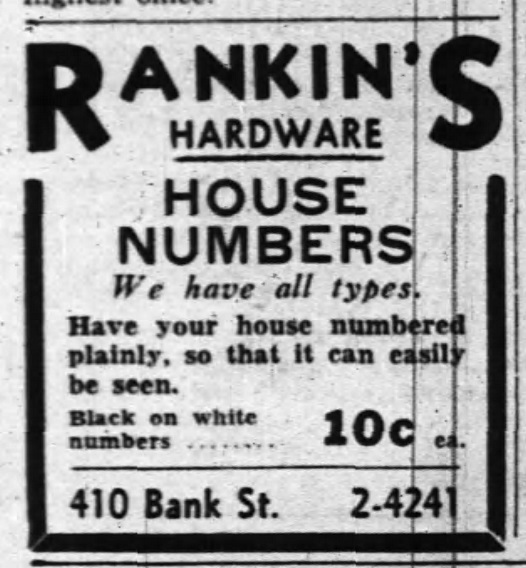 By the time Paul had everything back at his house, a new buyer came and bought it all up (Denise remembered that the buyer's son wanted the chairs for his rec room, so it's good to know that those chairs likely still live on somewhere in Ottawa). Paul was happy to be retired, and particularly enjoyed being able to experience cottage life. 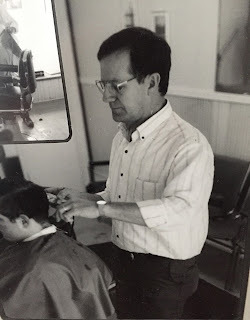 He continued to do haircuts for some of his dedicated customers in his home (my Dad was one of those fortunate customers), while also performing house calls for some of his older clients or those with medical problems (as he did even when he had his shop open). According to Denise, after a few years, he began suffering vertigo attacks and could no longer cut hair, "though with medication he was able to play some golf." Unfortunately, he was later diagnosed with prostate cancer, but recovered with radiation. Now at age 75 he enjoys his leisure time but suffers memory loss. When I called the Brisebois household, Denise (as you can see) was as helpful as you could wish for, and patiently replied to all my questions and provided me with any photos I asked about. Even when I was a teenager, and grew my hair long (I don't think I had a haircut for about 3-4 years at one point) I could still count on getting a friendly wave from Paul every time I walked by the shop on Wellington. And it appears many others had the same experience, and more than anything, that is Paul's lasting legacy, his friendliness to so many. Just a small sampling: Dennis Morgan wrote "Paul Brisebois! What a great friendly man! Cut my hair when I was a little guy, up until I shaved my head. He got a kick out of that!! ", while Sue Rock commented "Paul was always friendly, we lived on Sherbrooke St. And anytime we passed his store he always had a smile and a wave if he wasn't cutting someone's hair", and Paul Leblanc added "I'd wave to him every time I walked by. Nice guy. Great story teller." When Paul's Barber Shop closed, it remained a hair salon, the relatively short-lived "Scissor & Comb". It later became an e-Scooter shop, before becoming "Wellington Wholesale Seafood" by 2012, which it remains today. But it still seems funny seeing something else in that little shop. I think there are many like me who walk by today still and wish they could still see the familiar sight of Paul in the window, working his trade, and give him a wave. A closing note of thanks to Mike Laflamme helping make the arrangements, and also for providing some personal anecdotes; to Denise Brisebois and the Brisebois family for their time and help in putting this together; and of course to Paul the Barber for his many years of hard work and dedication to the people of Hintonburg. 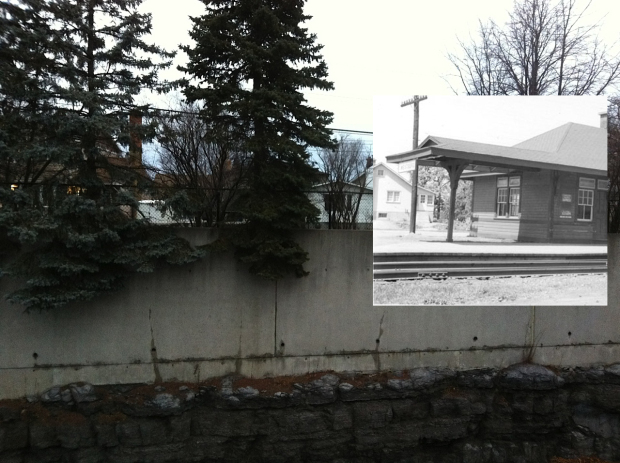 A long-lost landmark of the Westboro neighbourhood is the old Canadian Pacific Railway station, which gave the neighbourhood its first hub to the rest of the continent and put the name "Westboro" on the railroading map. It is inevitable when I set up a booth at an event, or attend a meeting in the area, that I'll be asked about this train station. Not by the older, long-term residents though; they remember it well and know exactly where it was located. It is the younger generations, who sadly missed out on the exciting eras of train travel, that are most curious. So a lot of what I'll be sharing in this photo-heavy article today has been written about previously. 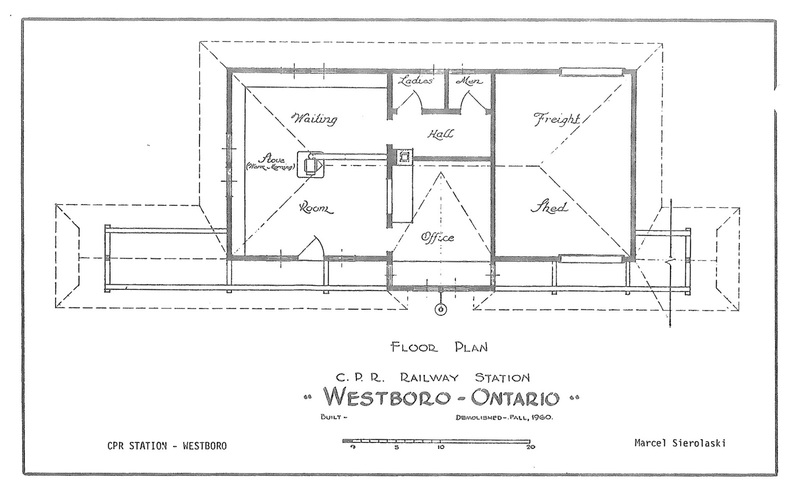 There are railway and local history people who have researched (and lived) the Westboro station extensively in the past, and so bits and pieces of the history can be found in various spots on the internet. So my goal for this article is to bring together all of the information, and add in a bit more that I've found. I feel including a history of the old station is imperative to the credibility of a local history website focusing on Westboro! 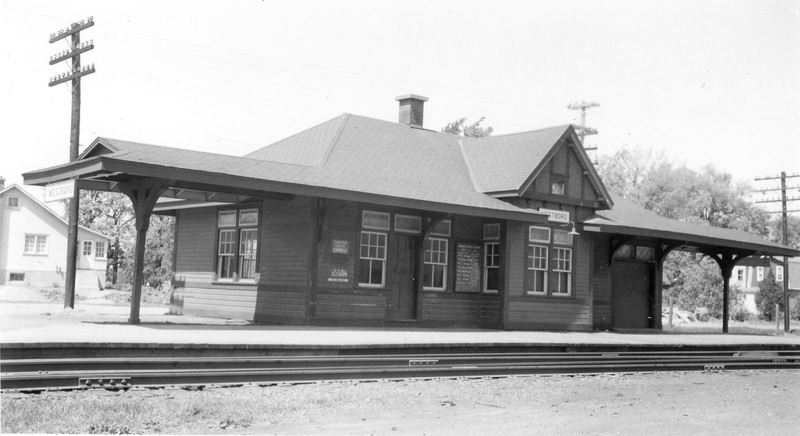 The CPR line through Westboro first arrived in 1870 with the arrival of the Canada Central Railway, sending trains west from LeBreton Flats to Carleton Place, and all points in between. 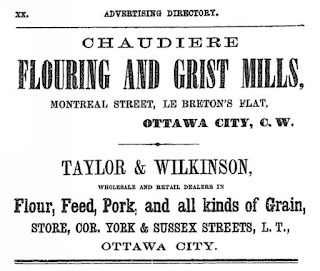 The arrival of the Railway spurred the establishment of a mill at Westboro Beach, which eventually led to the development of Westboro (more on that in a post later this January!). 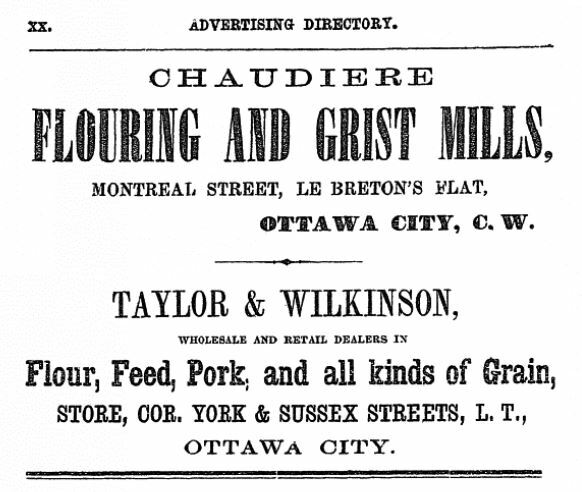 The CPR took over the CCR in 1881, and the mill burned for good in 1888. Meanwhile, Westboro developed slowly until the streetcars down Byron Avenue led to a real estate explosion after the turn of the century. As a result, Westboro eventually felt itself worthy of a linkage to the main passenger and freight lines being run by the CPR through the neighbourhood. The Broad Street station at LeBreton Flats closed in January of 1920, making things even more difficult for west-enders; all CPR passenger service was moved to the Grand Trunk Railway Central Station (later better known as Union Station) in downtown Ottawa. Thus, there was a push throughout the winter of 1920 and into the spring, to have some kind of station established in the west end. 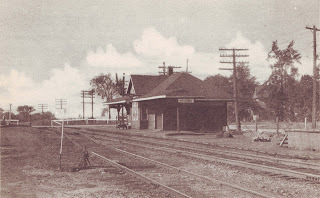 A small station at Bayview known as 'Ottawa West' had been opened in 1919, but for whatever reason, it serviced only a small number of trains, and was certainly of little convenience for Westboro. Westboro had to haul all its freight from Ottawa. There were no express facilities at Westboro and all express parcels had to be brought out. Passengers had to travel a considerable distance to the nearest station, and had to take a street car to reach it. 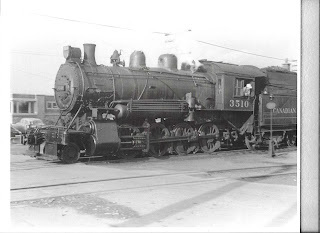 Thus the Westboro Ratepayers Association (the early version of the community association) sent a letter to Westboro Police Village Council, requesting Westboro Council to approach the CPR to request a railway station be built at Westboro. At their meeting of January 13th, 1920, it was decided that the Secretary-Treasurer of Westboro Council (and professional wallpaper-hanger) Alfred Barnes would communicate with the CPR. Perhaps initial contact with the CPR did not go well, as nine days later, Westboro Council attended the meeting of Nepean Township Council to ask Nepean to request the Westboro station. showing the motion to request for a Westboro station. On April 20th, Nepean Township sent five of their most prominent civic leaders in Bell, Cummings, Holloway, Cole and Reeve William Joynt to a key meeting which included CPR engineering executives, Ottawa City Council members, and representatives from the small neighbourhood of Ottawa West (the original built-up area between Island Park Drive and Western Avenue). 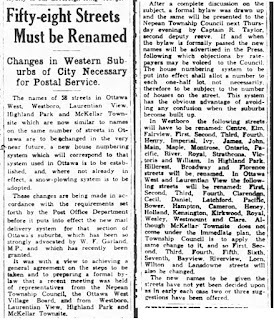 Nepean Township pushed for the station to be located on Victoria Avenue (now Roosevelt), however the City of Ottawa contingent, as well as CPR officials, argued that a station at Parkdale Avenue was the more "logical location", and thus it was selected instead of Westboro. 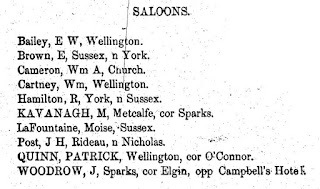 Undaunted, at the May 3rd meeting, Nepean Council decided to still push for a Westboro location, and agreed to contact the Board of Railway Commissioners, the governing body of the railroads. 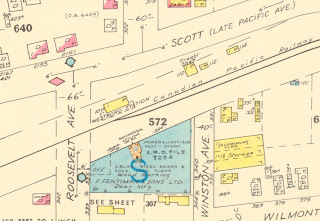 Meanwhile, the CPR went ahead and established a station 500 feet west of Parkdale Avenue on the south side of the tracks (which would be just slightly west from where the Beer Store is today, pretty much on the west-bound lanes of Scott). A cinder platform was installed, and the first local passenger trains began stopping on Monday May 24th. 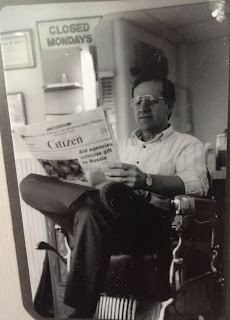 A City Passenger Agent J.A. 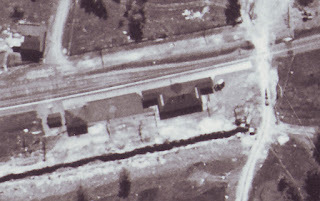 McGill was assigned to the location, and construction of a full station was to begin soon after (it is uncertain if the full station was ever built; it seems unlikely that it was). Adding insult to injury, the papers even called the station "Westboro" even though it was not near Westboro at all! By July, things were getting intense. 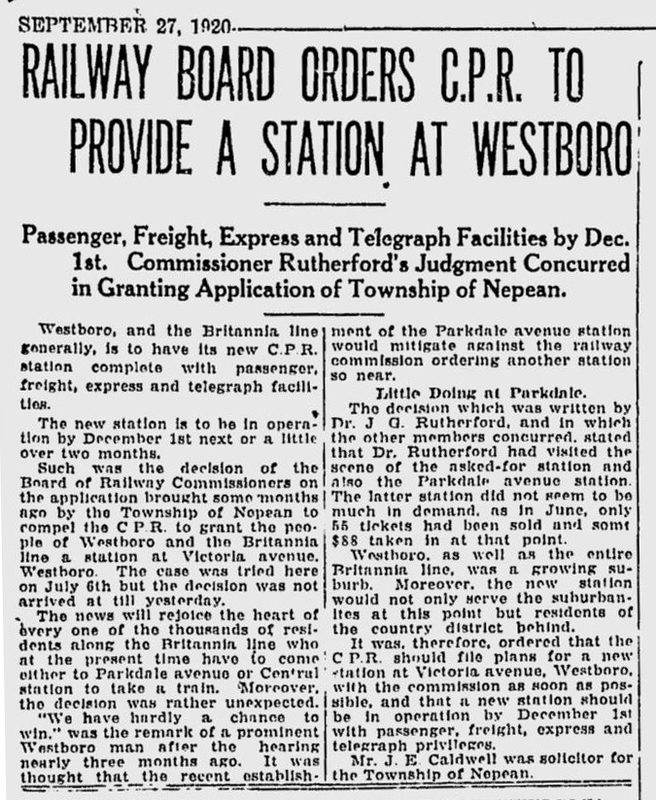 Nepean Township wanted their Westboro station, but the CPR insisted it would not build two stations in relatively close proximity (though we now have transitway stations at Westboro and Tunney's, logistically it would not have made much sense to have large steam trains embark at Westboro and then have to stop again at Parkdale). The Board of Railway Commissioners heard the case on July 6th, appropriately enough, in the board room at Central Station. 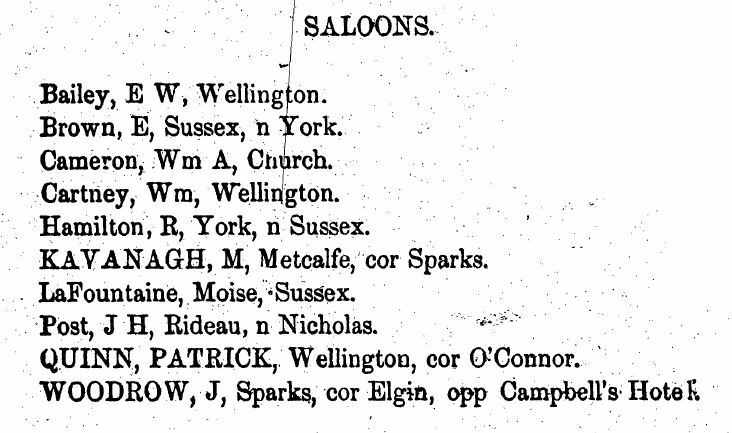 Nepean Township had Carleton County lawyer J. E. Caldwell battle against the CPR lawyer T. B. Flintoft. 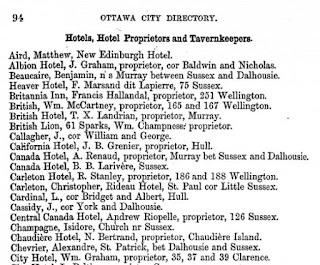 The City of Ottawa also had their lawyer F. B. Proctor involved, as well as Controller John Cameron and Commissioner of Works Macallum, as the decision would affect the newly established station at Parkdale that Ottawa hard argued so strongly for. The hearing brought out a large number of residents from along the line to Britannia, who supported the Westboro station location. 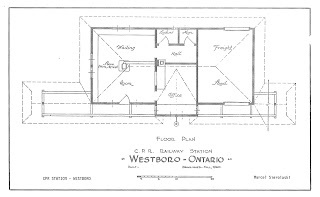 The CPR lawyer argued that the station at Parkdale was established for the people of Westboro, and that it would object to two stations within a mile of each other. 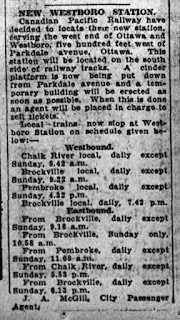 The City of Ottawa also argued that the Parkdale station was to serve the entire west end, including Westboro, "and in a measure to take the place of the Broad street station." 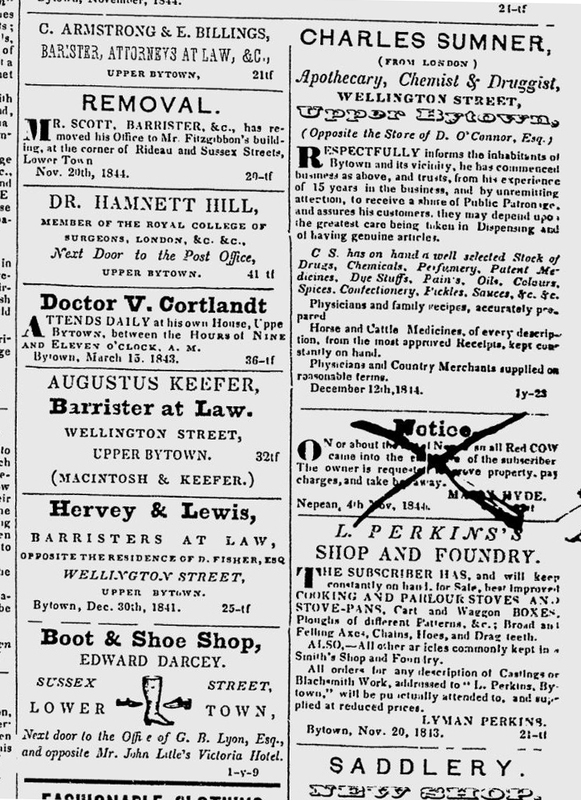 The Citizen wrote the following day that they felt Nepean's application would not likely be granted, and closed their article by noting that the decision would be made in the near future, "but the possibilities of a station being granted, as gathered from the remarks of the commissioners sitting on the case, seems remote at the present time." 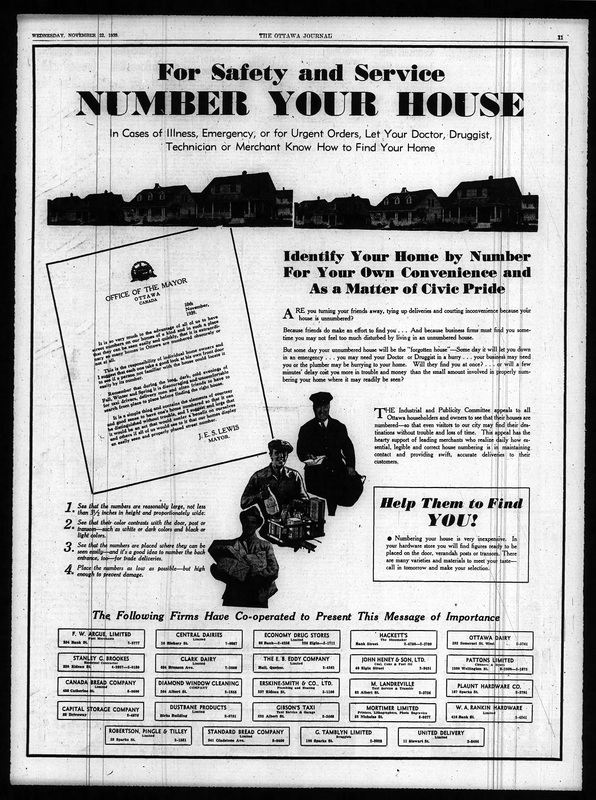 The Board took their time, and surely there was some heavy politicking happening throughout the summer, though no records either through official documentation or the media seem to indicate any activities of note during the summer of 1920. By September, all parties continued to wait. The Westboro Council minutes at their September 7th meeting noted that the Board had hoped to have the news regarding the station, but did not yet. 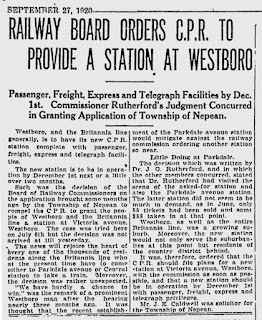 The big news finally came on September 27th, when the Board of Railway Commissioners ordered the CPR to open the station at Westboro! 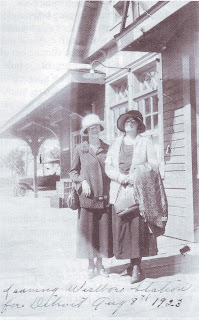 The order included "a new station complete with passenger, traffic, freight, express and telegraph facilities. The station is to be in operation by December 1." Whatever the Township of Nepean had done to convince the Board certainly worked. When Westboro Council met again on October 5th, the minute-taker expressed the obvious joy held by the Council in the decision of the Railway Board, and added that "each of the Trustee Board expressed his pleasure that this was a great step in the future development of Westboro." However, the battle wasn't over yet. By November, there was still no sign of construction starting in Westboro, and the Board of Control in Ottawa were meeting with the Railway Commission to argue their decision, as they wanted the Parkdale and Scott station to stay. 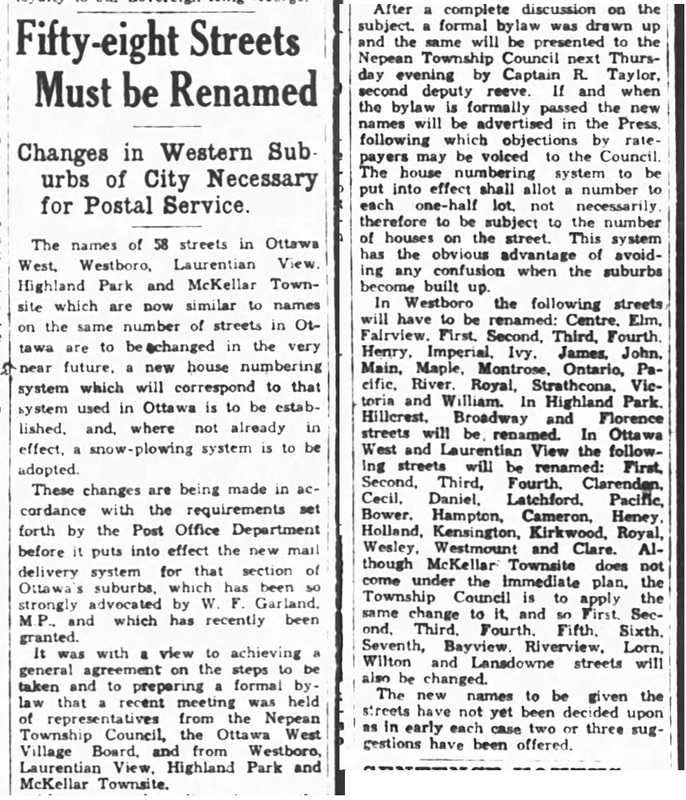 The City of Ottawa clearly was displeased that a station would be established outside of the city limits (which at the time was Western Avenue). 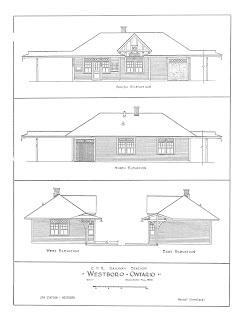 On November 9th, the Board of Railway Commissioners extended the deadline to build Westboro Station to July 1st, 1921, "provided that a temporary station and platform be erected, a station agent appointed, passenger, freight, express and telegraph service provided and a spur to take care of carload traffic were constructed on or before December 1st, 1920". The Board stood firm with their decision, and ultimately the Parkdale station was cancelled, and not long after the Ottawa West station at Bayview would become a key location on the CPR line, pretty much halfway between Westboro and Union Station. Records from 1921 are incomplete, and even some of the local railway history experts that have written about the station (notably Colin Churcher, who I often refer to for all matters of Ottawa rail history) are stumped by when exactly construction began on Westboro Station, when it first opened, and when the Parkdale station was closed down. 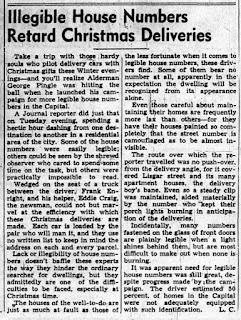 It appears the answer to all three lies somewhere in early 1921, as early as perhaps January. The most telling piece of evidence towards this end lies in the fact that at the Westboro Council meeting of January 10th, 1921, it was agreed that the Council would pay for the construction of "a suitable sidewalk to the CPR station from Richmond Road." 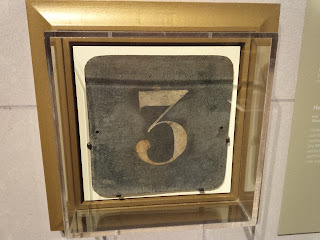 Later in June, it was recorded that stone was quarried from River Street (the former name of Roosevelt) to form the foundation for the sidewalk. 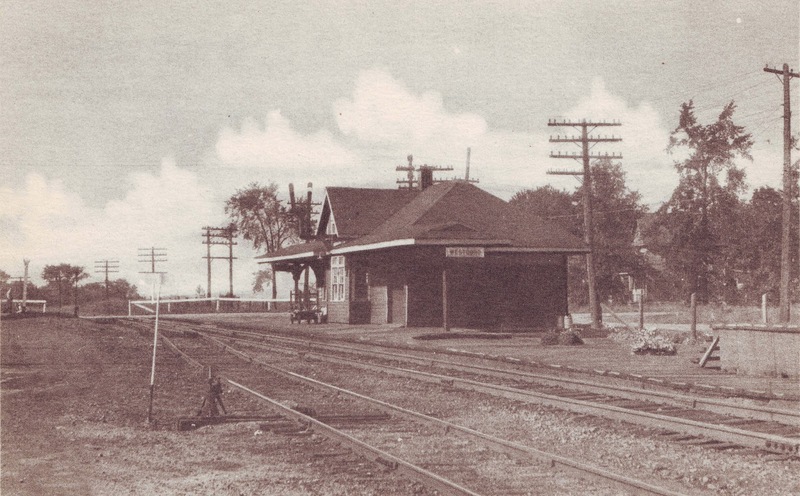 The photo below is the earliest known photo of Westboro Station, and it appeared in Bob Grainger's excellent book "Early Days in Westboro Beach", a photo which he had obtained from Lois (Milton) Woolsey, and taken on August 8th, 1923. 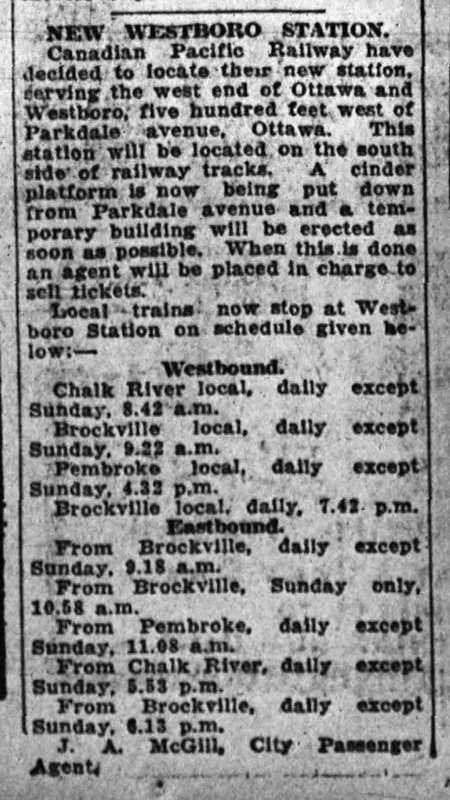 Colin Churcher on his website (http://churcher.crcml.org/circle/Westboro.htm) noted that by May 1st, 1921, "Westboro acquired a day operator, train order signals and call letters BO. 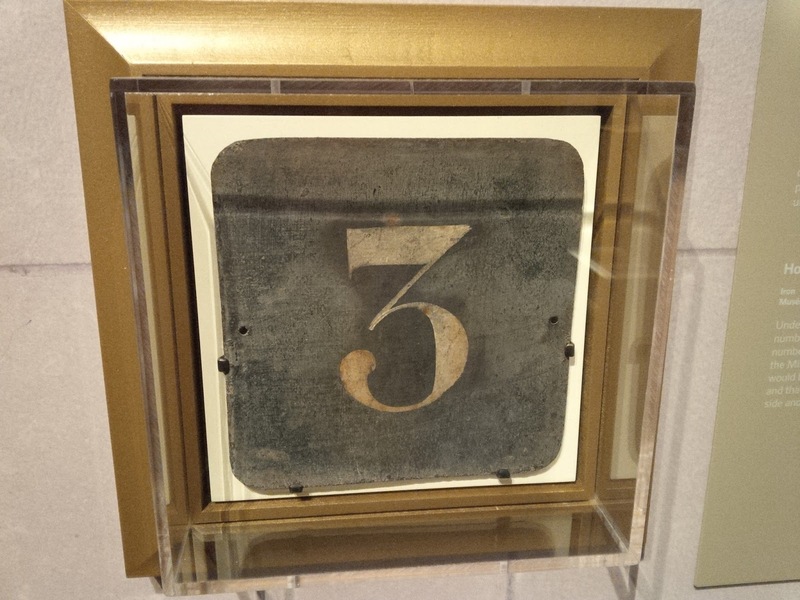 (Note: the call letters was the telegraphic code used to simplify transmission of messages in Morse code)." Churcher also notes that the Board of Railway Commissioners made an order on June 1st, 1921, approving the CPR plans for the proposed station, an order on June 23rd granting an extension to construct the station until October 1st, and an order on July 12th authorizing the relocation of the station (likely moved to a slightly different location, or perhaps on the opposite side of the tracks). 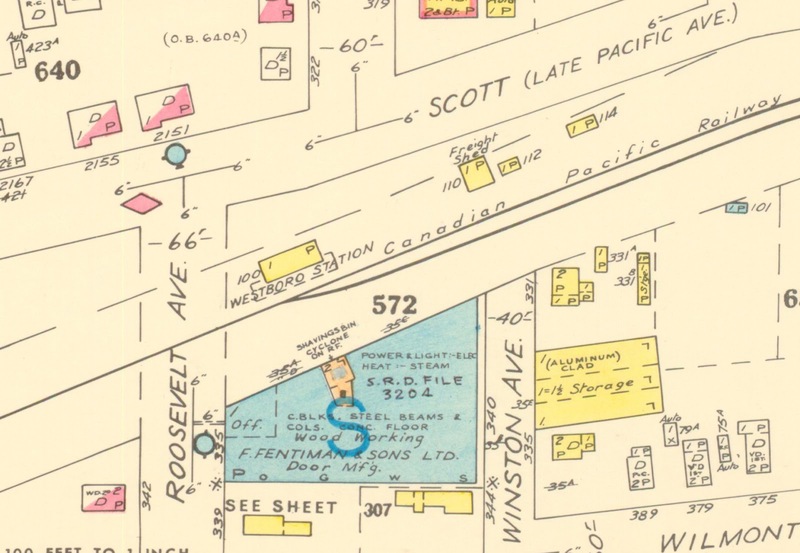 So the likely date of construction of the permanent station was the summer of 1921. 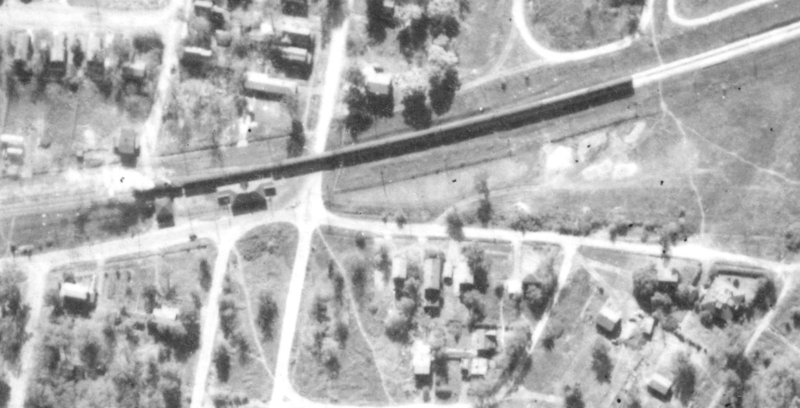 The best two photos of Westboro Station are the one which appears at the top of this article, which is from 1952, and this one below, taken around 1940 as part of the rare Photogelatine Westboro postcard series issued at that time. I love this photo! From Westboro postcard series early-1940s. The only other photos that I've seen of the station are from aerial pics. So I've assembled the best views I've found, to show it in different ways, and occasionally with a train passing through or on the siding. In all instances north is on the bottom (so you'd have Richmond Road above and the River below). Keep in mind the station was on the north side of the tracks. streets at the time either. and the crude fence in behind can be seen more clearly. Royal and Atlantis and the Roosevelt extension branching off. at the very top of the photo. There are railway experts far more knowledgeable than I who could speak at length about the traffic of trains that stopped at, and went through, Westboro Station. 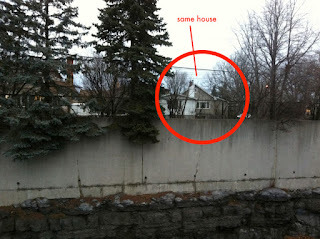 What struck me as most interesting was in fact how little used Westboro Station likely was. 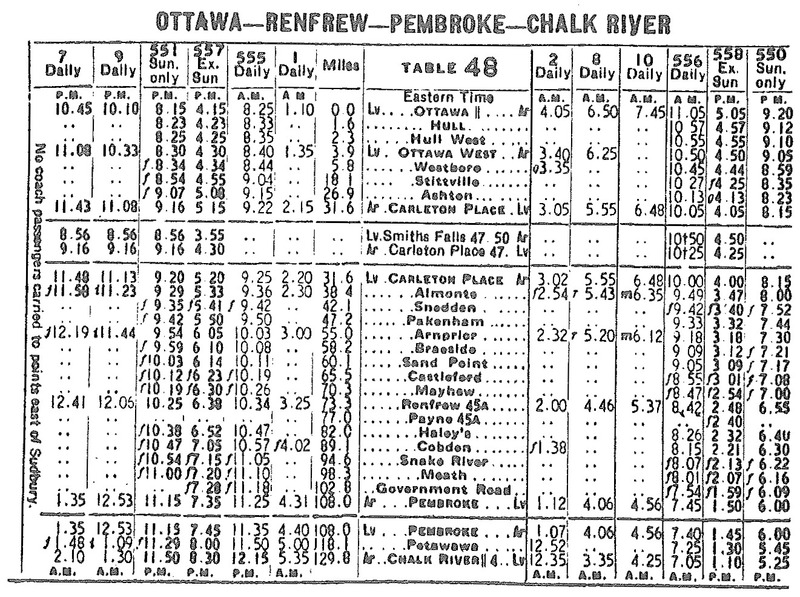 Though there was heavy traffic on the CPR line, for the majority of the time the station was open, passenger service extended only in to Ottawa to the east, or Chalk River to the west (with Smiths Falls, Carleton Place, Almonte, Arnprior, Pembroke, etc. in between). If a traveller wished to go to Toronto, Montreal or elsewhere off this line, they had to embark from Ottawa West or Union Station downtown, or transfer elsewhere. 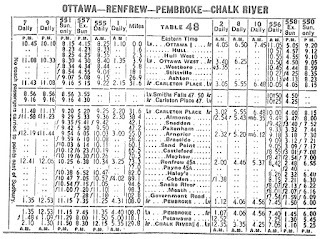 Local railway historian/expert Bruce Chapman explains how complex the scheduling was just to get to Toronto: "There was a morning train to Chalk River out of Ottawa West about 830am, and the train to Brockville and Toronto about 930am; so if you wanted to go to Toronto from Westboro, you got on #555 to Chalk River, off at Carleton Place and caught #563 to Toronto, but returning in the evening, #558 from Chalk River got to Westboro before #562 from Brockville, so you had to go to Ottawa West." 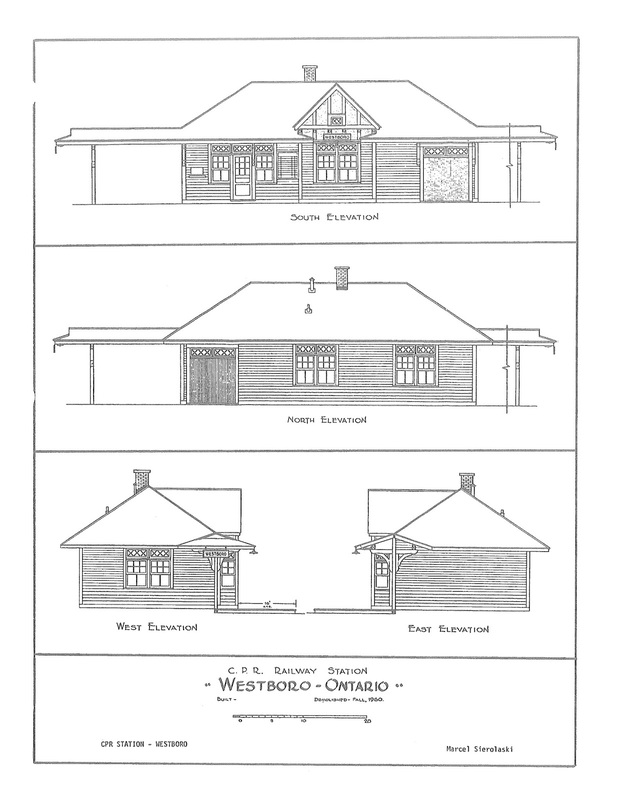 Long-time Westboro historian Shirley Shorter noted in Newswest in 1986 that there were several "Stationmasters" at Westboro station over the years, remembering Mr. Fitzgerald, Mel Douglas and Harold Flake as three who held this position. She wrote that "the Stationmaster was kept busy selling tickets, looking after the baggage and flagging down a train to pick up a passenger waiting at his station. The young locals used to torment him by sitting with their legs hanging over the tracks, when they saw the train appear on the horizon. Sometimes they hopped on the back of the train when it slowed down and took a free ride into Ottawa West. One episode told me by a former resident was: A young man was standing on the platform waiting for the train to arrive. As it neared the station travelling at quite a clip, it hit a dog on the tracks, tossed it up into the air, it landed on the young man's leg with such force that his leg was broken." 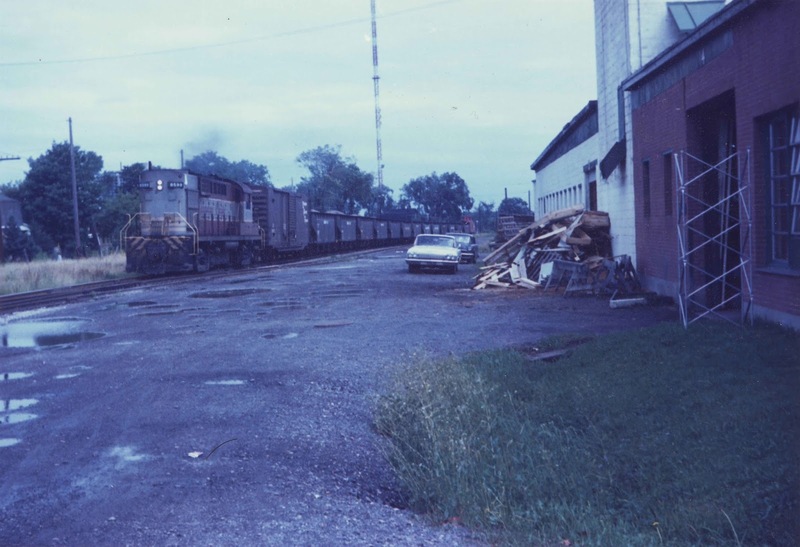 As seen in the photos above, spur lines existed off of the main track running in to the lumber yards to deliver coal and lumber and building materials, and there were also sidings between Roosevelt and Churchill to hold freight for local companies. 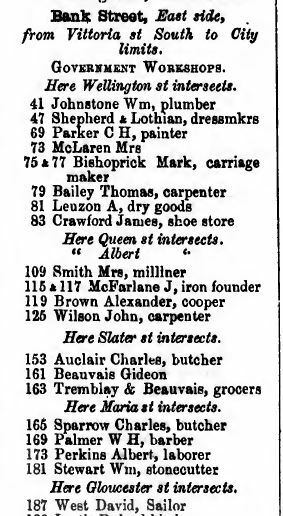 Bob Grainger noted in his book that "John Ross' father would order animal feed by rail for his store on Richmond Road and then send his men with a truck to pick up portions of it." These were called 'back tracks' or 'team tracks'. According to Bruce Chapman (helping simplify terminology for me): "The ‘siding’ at Westboro was really a back track. A siding was where trains could meet or pass, but the back track at Westboro had derails at both switches to keep cars from rolling away while being loaded or empties at Fentiman’s. Cummings had their own back track east of Churchill, and that is where the big wreck was in the early 1950’s This back track could also be called a ‘team track’, just like the back track down at Holland Avenue, near the Beach Foundry back track...a team track was where anyone could load or unload a car." The "work extra" 3510 at Ottawa West. Photo courtesy of Bruce Chapman. Bruce says he was only ever inside Westboro Station once, and found "it was just like Ottawa West, but a lot quieter." I also spoke with Ron Statham, who also very kindly shares his memories of Westboro in the good old days with me from time to time, and he remembers the station well, and noted that he felt it was similar in style to the Carleton Place station. He remembered one trip in particular that started at Westboro Station in the early 40s: "The family had a cottage on the Mississippi river near Carleton Place and I believe and this is a stretch of my Memory going with my mother and grandparents during the war from Westboro to Carleton Place." 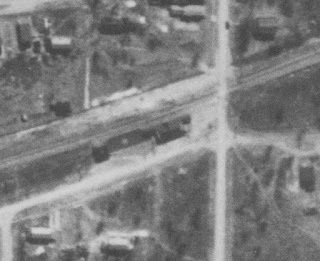 It is worth mentioning that there were several significant accidents which occurred by this station during its lifetime. With the neighbourhood growing after WWII, and the prevalence of the automobile of the 1950s and 1960s, it was inevitable that train would meet vehicle with increasing frequency. Bob Grainger details many of these accidents in his book, so I won't go through them all here. 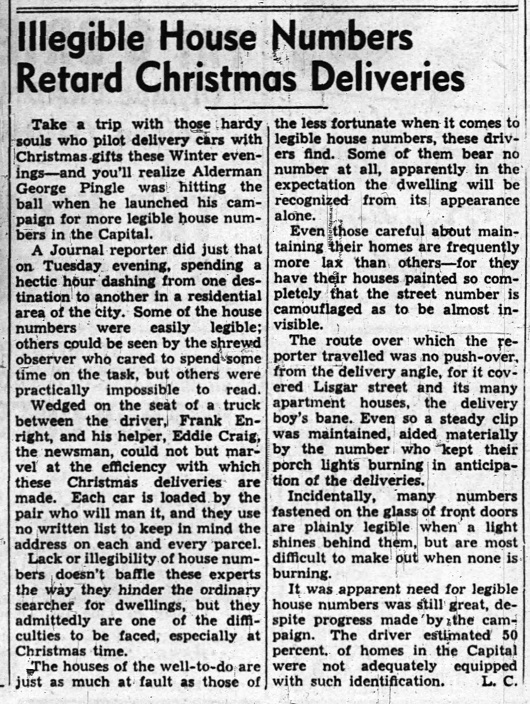 However, the most noteworthy of them all, and the one remembered by every Westboro resident who was old enough to remember, was the big accident which occurred on the cold morning of January 20th, 1951. 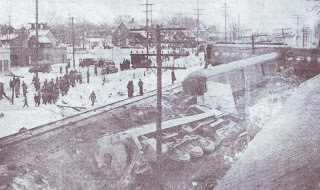 A train travelling east past Westboro Station at the incredible speed of 70 miles per hour, collided with a coal truck from the Independent Coal Company at Churchill. 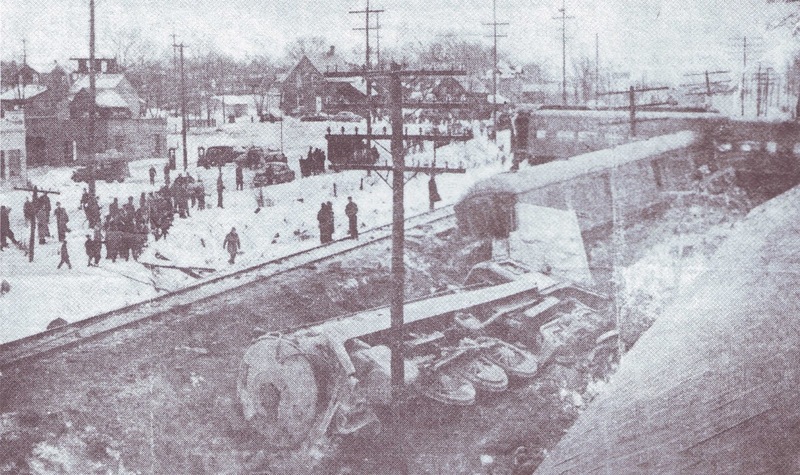 The evening's newspaper described it as follows: "The engineer of the CPR Dominion Flyer was fatally injured, his fireman badly injured, 30 passengers suffered bruises, and the engine and four passenger cars thrown off the track in a collision with a truck at the Churchill Avenue crossing in West Ottawa at 7:50 this morning. The cross-country train, running an hour and twenty minutes late, was travelling 70 miles an hour, making up time, when the smash occurred. The engine reeled off the track, plowing into the side of an embankment for nearly 500 yards. The driver and helper on the Independent Coal Company truck jumped before the moment of impact and escaped injury." Most of the passengers were up and walking in the train, preparing for the arrival at Union Station, and were thrown about inside the cars, resulting in concussions and head and back injuries. 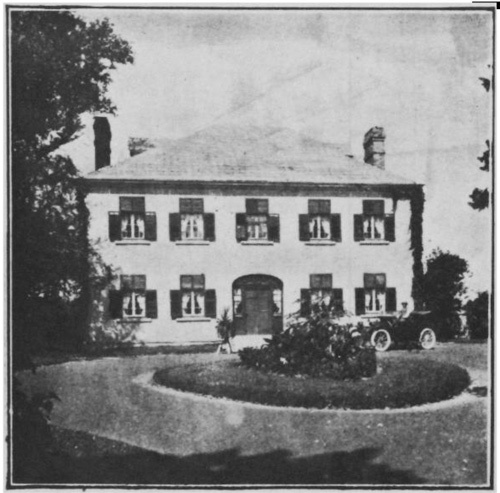 All available ambulances and police cars were sent to the scene to transport the injured to the Civic Hospital, and private automobiles were commandeered into use. Other accidents over time at this spot were more deadly, but the 1951 accident was the most memorable due to all the factors involved, the speed, the size of the train, and the fact that it occurred at the start of a work/school day, thereby bringing out most of the Westboro population to view. In July of 1952, with the use of the station dropping, the CPR removed the station agent and appointed a caretaker-agent to run the station, which included selling tickets, cleaning the station and managing the heat and lighting. 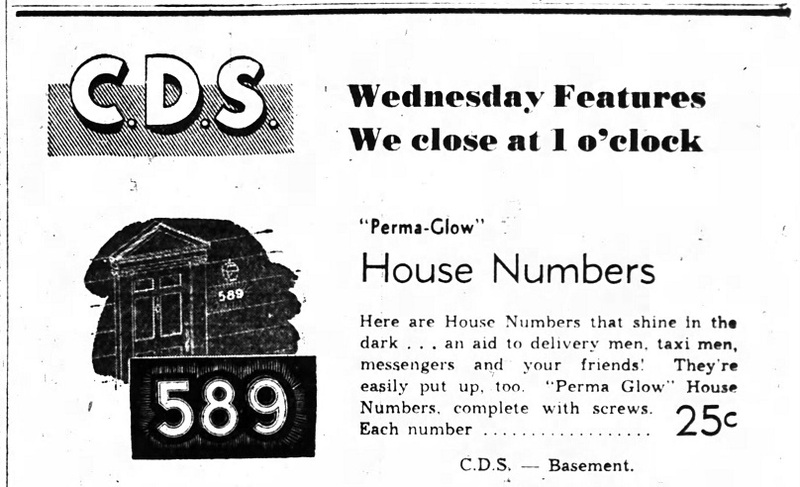 By December of 1957, even this agent was removed. On September 29th, 1958, the station was ordered closed, and it was demolished in the fall of 1960. The final passenger train to go through Westboro Station was the eastbound 'Canadian' on Saturday July 30th, 1966. Trains did still run on the tracks for another year, the final trains to pass through was on August 28th, 1967, and the line was cut at McRae Avenue just after its passing. (Again all thanks for this information to Colin Churcher). 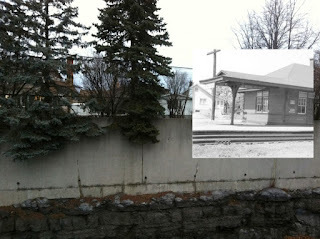 Here is another useful comparative photo of the same spot, taken about 50 years apart. Unfortunately Bruce Chapman's photo below was taken just a few years after the Station was demolished. but at this point is just a field of overgrown grass. Photo courtesy of the amazing Bruce Chapman collection. overtop of what is now the Transitway trench. Well, somehow this started out to be a shorter article, but somehow the pieces came together making this a rather thorough history. But a worthwhile look at this great feature of Westboro which helped develop the neighbourhood and helped greatly improve travel and industry during those key fourty years. In a way it's sad that the station had to be demolished, how neat would it be if it still stood in its place, perhaps as a unique residential home! Thankfully there are still many towns in Ontario where the old stations have been preserved, and it is a treat to visit one and imagine it as a bustling centre of activity in the golden age of rail transportation. I thank my contributors and sources very much for helping make this great story easy to put together.